Most women of this era had limited control over their lives. There were major social constraints — what to wear, how to speak, whom to marry. I wanted to create an historical fantasy where the heroine was empowered to travel, meet people and help others — all on her own terms. I imagined what it would be like to have your whole world change in an instant — making everything you’ve ever known seem distant and unreal. A character who can survive those circumstances needs to be courageous and driven. But I also wanted the heroine to have many flaws. In the series, she struggles with her magic and searches for the best way to use her powers. Aisling battles with herself, men, magic, nature — and ultimately, love — revealing her strengths and vulnerabilities. 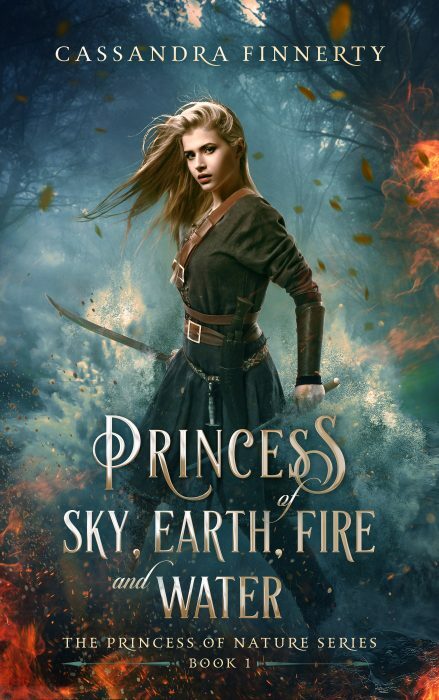 Aisling’s love interest, the Fifth Prince, needed to be strong in his own right — fierce enough to survive in a treacherous kingdom and strong enough to deal with a powerful woman. “The men had stared as she boarded the ship in her new ensemble, grappling with the concept of a woman commander. As they passed Clare Island, the cries of the herring gulls and black guillemots resounded over the jagged, charcoal cliffs.